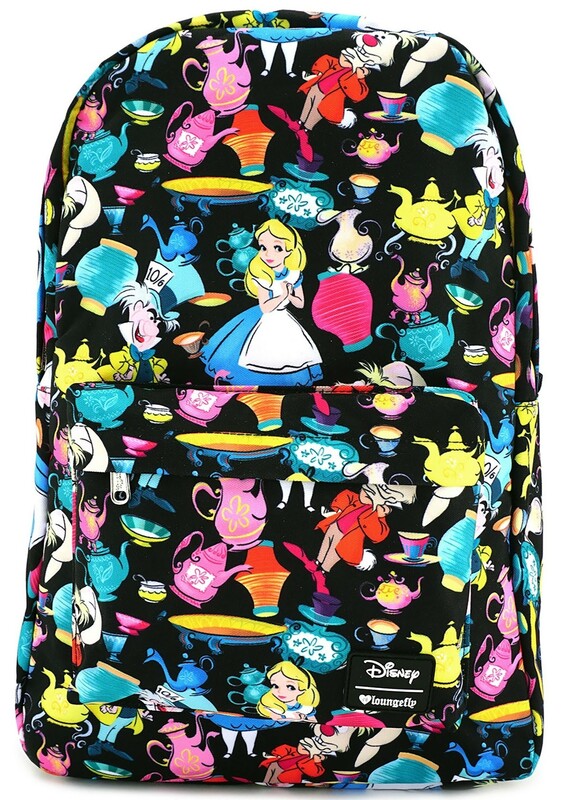 Whether you're celebrating a very merry unbirthday or feeling like you're about to fall down the rabbit hole, this allover Alice in Wonderland print backpack from Loungefly is the perfect choice! 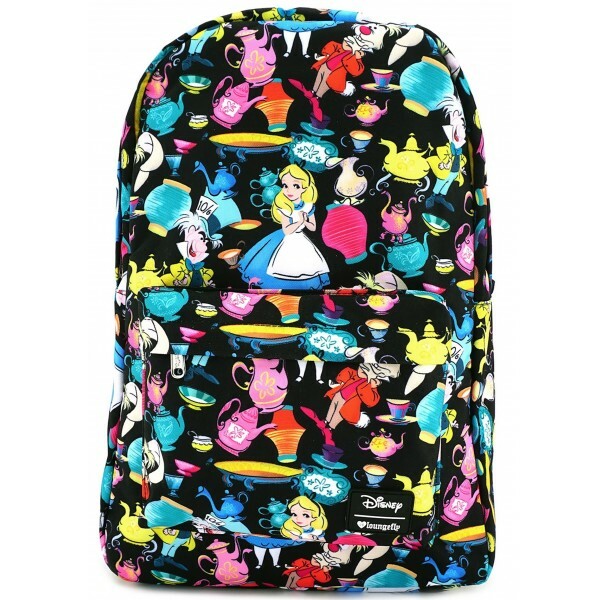 This officially licensed, sturdy canvas backpack is 12 by 17 inches, and has a 9 by 7 inch front zippered pocket as well. A large padded laptop pocket inside keeps your tech safe, while padded adjustable straps help take some weight off on your way to and from class.